Termites are a huge problem in the South, specially in the coastal South Carolina regions. Once a year termites swarm. 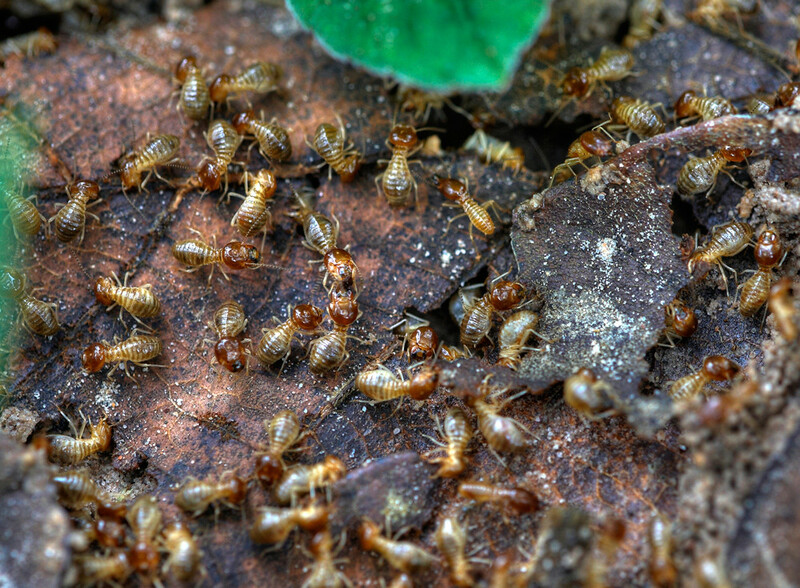 The goal of these “swarmers” is to leave their current colony to create a new termite colony. They will look for any conducive area whether it be in a home, tree, the ground or more. May is the heart of swarm season. Last week one of our Charleston Salesman, Rick, went on a traditional sales call to a building on Market Street, which is runs through historic downtown Charleston, SC. He happened to have perfect timing. He walked into the building right as the Eastern Subterranean Termites were swarming. It is really unusual to walk into a swarm. Generally people see the remnants of swarmers and then call us. Rick took a video while he was there. All of the little critters crawling around covering everything are Eastern Subterranean Termite Swarmers. Termites are a group of eusocial insects that, until recently, were classified at the taxonomic rank of order Isoptera (see taxonomy below), but are now accepted as the infraorder Isoptera, of the cockroach order Blattodea. Since 1960, Palmetto Exterminators has expanded to meet the needs of our customer base. With 8 locations in the Carolinas, we are able to provide pest control service and termite control service in South Carolina, North Carolina and Georgia. Palmetto Exterminators is recognized in the industry as the 64th largest pest control company in the United States. For a free, no obligation inspection of your home or business, please complete the form from the link below and we’ll take it from there. One of Palmetto Exterminators’ trained professionals will contact you upon receiving your inspection request and set up a date and time that is convenient for you. Once your inspection is complete, your Palmetto Exterminators’ professional will provide you with a detailed report on the identification and location of any pest problems you may have. Then, we will show you how we can help you prevent problems or eliminate your existing pest problem.